The beaches and shore line near Laguna, CA are beautiful. There was so much diversity in the water when the tides went out and allowed us to climb the rocks out to see the tide pools. 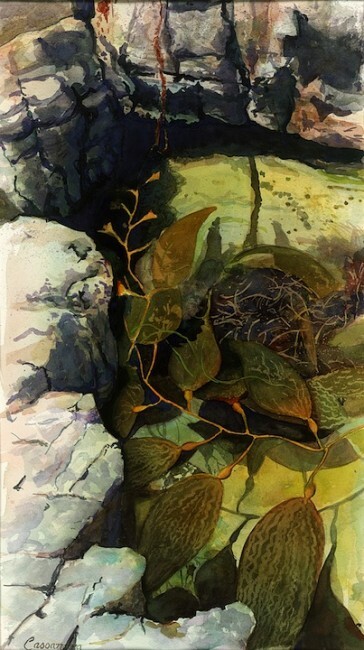 This image of a tide pool was created by “glazing” layers of watercolor washes one after another. When glazing it’s important to let each layer dry before starting the next layer, to get beautiful depth and clarity to your final image. 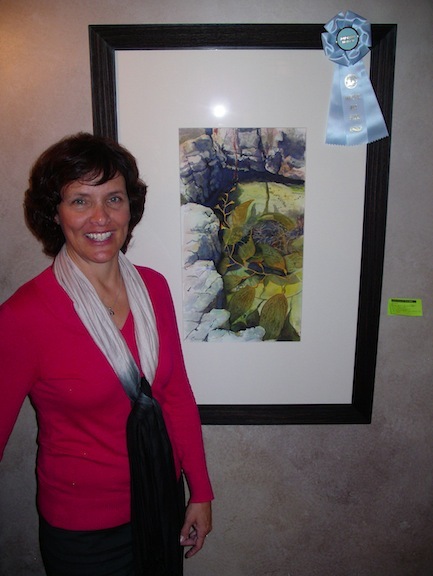 Exhibited at the Danada Nature Art show. This piece was purchased by the Danada House.